Have you ever had a creative itch that normal sketching or drawing couldn’t satisfy? Have you ever wondered what your creations would look like in three dimensions? 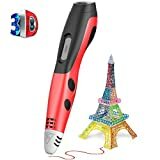 Which one is the best 3d pen? If so, you’ve come to the right place! We have compiled the best 3D pens into a buyers guide to take the guesswork out of making your decision. Let’s start with the beginning of 3D printing technology. Over the past 10 years, you have probably heard a lot about 3D printers. Did you know the concept of 3D printing is over 30 years old? In 1981, Hideo Kodama published his research of a rapid prototyping system using photopolymers, a fancier term for basic plastic. In 1992, inventor Charlie Hull and his company, 3D Systems, invented the cutting-edge stereolithography apparatus which used digital inputs to create a physical object. This was possible by using a photopolymer to craft complex designs layer by layer before exposing it to ultraviolet light, which acted as a catalyst to harden the polymer to the specifications of the template. That very same year, a startup DTM released the SLS, or Selective Laser Sintering machine, which used laser pulses and a photopolymer powder instead of UV light and liquid material. Although both the SLA and SLS machines were imperfect in their designs due to profound warping issues in the finished product. Not to mention their sheer expense, the potential of these devices would lead to modern 3D printing devices decades later. Fast forward to 1999, when scientists at the Wake Forrest Institute of Regenerative Medicine used 3D printers to print a scaffold of the human bladder and laminate it with the cells of the patient. Allowing the body to accept the transplant because the cells belonged to the host’s body. From 1999 to the present, there have been countless start-ups and crowdfunding projects that have designed more complex 3D printers, handheld 3D pens, and processes that have stemmed into a new realm of 3D printing both practical and affordable for everyone to enjoy. We have three men to thank for the invention of the first 3D pen: Peter Dilworth, Maxwell Bouge, and Daniel Cowen in their founding of WobbleWorks and 3Doodler. Legend has it that they waited for over 14 hours for a 3D printer to complete a project they were working on before realizing the project was incomplete. Frustrated, they had the bright idea for the 3Doodler pen. In the past, Peter Dilworth attended the Massachusetts Institute of Technology (MIT), where he was heavily involved in the Media Lab and Leg Laboratory in which he greatly contributed to the field of robotics. Dilworth then worked as an inventor for the toy company WowWee until 2010, when he co-founded the company where he currently sits as Chief Inventor and CTO of WobbleWorks. Daniel Cowen has a resumé as impressive as Dilworth’s. Born and raised in London, Great Britain, Cowen has worked as a successful corporate lawyer for many years and helped co-found two very successful software start-up companies and served as a co-founder of WobbleWorks. Where he is in charge of business development and marketing for the company's 3D printing products. The final inventor of the first 3D pen, Maxwell Bogue, began with a career in computer science and a toy inventor. He worked as a research and development manager at the toy company WowWee and released a number of very popular toys still popular today. Together, these three men came together with the idea for the world's first 3D pen. Initially, the idea didn’t take off as expected, so the team started a Kickstarter campaign in March of 2013 with a goal of $30,000 to begin the project; they teamed up with several popular Etsy artists to demonstrate their new invention, the 3Doodler. What happens next seems almost too good to be true, but believe it or not, they received over $2 million in pledges, which began the era of creative inventors using Kickstarter to fund their creative projects and inventions. The following year, the world had the first 3D pen on the market; the rest is history. To summarize, the 3D pen currently comes in two models, the Photopolymer and the Stereoscopic designs, which use two different curing mechanisms. The Photopolymer is a very interesting design because it harnesses the power of ultraviolet rays, which in technobabble means electromagnetic radiation in a wavelength of 10 nanometers to 400 nanometers. Fun fact: 10% of the Sun’s total output of light is UV light, which for our humble 3D pen allows for greater chemical reactions with the photosensitive ink, eliminating the need for superheating the medium. In my opinion, photopolymer pens are the safer option for beginners until they have an idea of what they’re doing, as well as children without the presence of adult supervision. Stereoscopic pens are more like a hot glue gun, utilizing an internal heating element to melt two different types of thermoplastic threads. PLA (Polylactic Acid) or ABS (Acrylonitrile Butadiene Acid) filaments to temperatures around 150-250 degrees to fuse the mediums together in an exothermic reaction as it’s being pushed through the pen’s extruding tip. The expelled plastic is soft and malleable, so it can be molded into various designs as it quickly cools down and hardens after a few seconds. Each strand of thermoplastic equates to about 11 feet of usable material for the artist. I would recommend parental guidance while a child uses a stereoscopic pen to make sure they don’t accidentally burn their fingers while using the pen. However, with some practice, children can use these pens just fine. What Can You Draw with A 3D Pen? To give you the long and short of It, pretty much anything! Since we’re no longer bound by illustrations in two dimensions, you can essentially draw anything you want in empty three-dimensional spaces. You can draw a detailed Deku tree from The Legend of Zelda, design a model B-2 Spirit stealth bomber strictly from scratch, or even take a shot at crafting your own versions of Rick and Morty, all with a little zeal, creativity, and the perfect 3D pen. Starting to get where I’m going with this? It’s cliché but this old maxim holds true “You’re only limited by your imagination!”. Check out some of the 3D artworks created by Matthew Butchard, Rachel Goldsmith, Justin Mattarocchia, and Kseniia Snikhovska to give you an idea of how intricate you can get with your designs. What I love most about 3D pens is how strongly they’re geared and marketed towards STEM education projects for children. If you’re not familiar with STEM, it’s an acronym for Science Technology Engineering Mathematics, which is a new education system geared to replace general education for children who show interest in the aforementioned fields. STEM students work on projects that encourage creativity and thinking outside of the box, so naturally, 3D pens are a huge asset for bolstering creativity and expanding a child’s cognition and desire to learn. Also, taking into consideration the constant defunding of art programs in the public school systems, STEM has huge benefits for bolstering artistic abilities for children. And the 3D pen is an excellent asset for creating new projects and designs for children of all ages, not just young children. Log on to YouTube and search “Professional 3D Pen creations,” and your mind will be blown. These professional artists can create almost anything with the careful application of the 3D pen. To give you an idea– some use templates, others do it freehand, and some use basic household items to create some insane projects. Since the 3D pen is a fairly new invention, there are dozens of uses that many people don’t consider. Imagine a doctor being able to 3D print skin grafts during surgeries, an engineer being able to create 3D design templates for model presentations or the inventor who couldn’t bring their invention life before being able to invent a ground-breaking design that changes life for all of us. It’s a very interesting time to be alive! Alright, we’ve spoken about 3D dimensional artwork, photopolymer and stenotopic pens, filament types, and what you can draw with a 3D pen, which is anything! Now let’s talk about a few things for the three-dimensional artist to think about before selecting their wands of creation! First, let’s talk about experience levels. If you’re a novice, you probably won’t worry about the countless filament types you’ll need to draw this or that, so adjustable temperatures won’t be crucial, and simple beginners or clone pens will work just fine for the novice. But on the flipside, if you are a creative wizard, check out some of the professional grade pens. Before you ask, yes, there is a HUGE difference between the run-of-the-mill 3D pen to the professional grade pen. For example, different filaments melt at different temperatures. if you put a wood filament into a standard 3D pen, it’s hard to say what’s going to happen given you have no clue what the relative temperature is going to be in the pen so…just don’t do that. Most professional grade pens have these nifty temperature control settings to accommodate all filament types as well as a display to give you some basic diagnostics on the pen to make the creative process a little easier for you. The next consideration may seem a little silly, but I bring it up because I thought I was losing my marbles the first time I used mine in a silent operation vs a non-silent operation. I got a 3D Scribble pen for Christmas about a year (2016) ago, and in my futile attempts of drawing a simple square, I heard a “chuck chuck chuck chuck” sound and was a little concerned about the whole situation. Now with about a million models out, there are some quiet pens that make no sound at all, and there are some that are a little noisy too. Again, not a huge problem but if you’re as neurotic as me when it comes to buying something– every little bit helps! This is a buyer guide after all! All kidding aside, I think it’s about time we review some 3D pens, eh? We will get started with the best 3D pens for kiddos and work our way up to value 3D pens, pens for hobbyists, and the best pens for artists and creative professionals, then I’ll give a few recommendations for accessories to enhance your 3D experience. The 3Doodler Start is the starter model by the company that started it all. 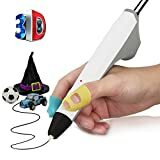 This pen is a great 3D pen for children of all ages and beginners who want to get started with 3D printing. Simplistic is the word that comes to mind when I think about this pen designed for ease of use with only one button, an On/Off switch. And 45 minutes of wireless operation that must be recharged by plugging into a simple USB port or outlet; there is no need for replaceable batteries for this model. The power source features an internal battery that lasts about 45 minutes to an hour before it needs recharged, which you can plug it into a wall or any USB port–no need to buy batteries. Once the pen is fully charged, you can use it anywhere you want. The pen is designed with children in mind so the pen’s filament melts at very low temperatures so there’s very little, if any chance of getting burnt while operating the pen. There is no external convection, so the extruder tip stays cool during operation. Ergonomically designed for small hands to use comfortably with measurements of 5.4×1.4×1.6 inches, and weighing in at a light 3.2 ounces. Although the pen is built for smaller hands, adults can use it just fine without having soul-crushing cramps with prolonged periods of use. It is quite simple in the sense that there is only one button to draw and an on/off switch with an indication light for when the pen is heating the filament that will turn green when it’s ready to use. You don’t have to hold the button, just press it once for use then once to turn it off. This specific model comes with several packs of a filament with 48 plastic strands and the “doodle block” a rubber stencil for designs of varying shapes and sizes that can be pieced together. This pen only accepts one type of filament that’s proprietary to this model. Refills can be a little more expensive and difficult to find. Due to the lack of temperature adjustment controls, it takes a little longer for the filament to harden compared to conventional filament types. 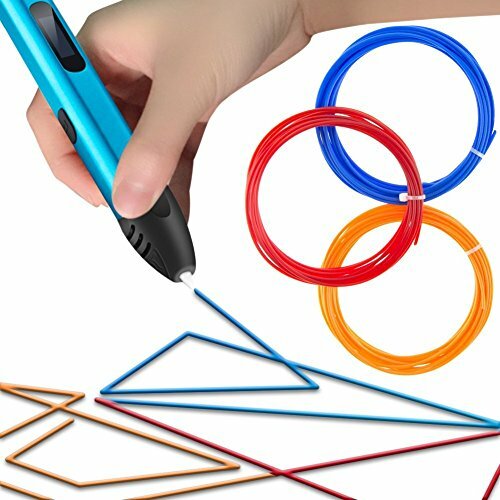 The next 3D pen on our list is an excellent pen for both children and adults to enjoy. If children are going to be using the pen, be sure to stress the importance to children not to touch the extrusion tip. A word of caution, I would recommend reading the instructions before use, so you don’t burn yourself or use the wrong style of filament. 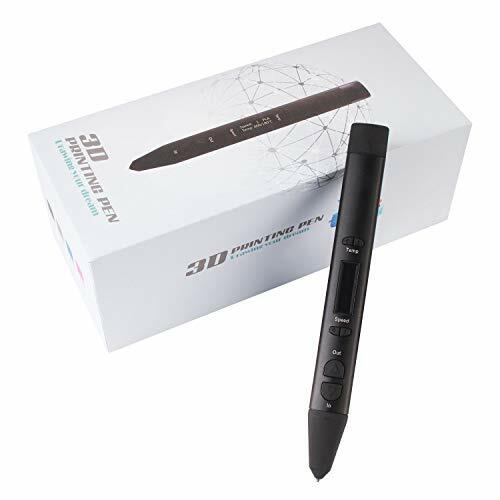 The Tipeye 3D pen is a stereoscopic pen, meaning it has its own heating element built into the pen that heats up to a maximum of 230 degrees F.
The pen is very sleek, comfortable to use, and well designed, with a smooth shaft much like that of a conventional pen. In its 6th generation of design, all the possible mechanical flaws are already worked out. The easy-to-read advanced OLED display shows the pen’s current operating temperature and filament extrusion speed mode, so there is no guesswork while doing precision work for a project. The filament extrusion button allows for three different printing speeds: low, medium, and fast, so you can work on a varying number of projects of varying difficulties. The low setting allows for setting lines and is a good speed for beginners, the medium speed allows the artist to create vertical and horizontal lines, and the high speed allows for vertical lines because the filament will harden quicker. Just set the speed and draw. The Tipye 3D pen can feed both ABS and PLA filaments, so you’re not limited to a specific type for whatever project you’re working on. The melting point of certain filaments depends on both the color and type used. Be aware that ABS filaments are considered to be toxic if consumed and have a certain foul odor to it them. A 30-day return or replacement warranty and a one year warranty from the manufacturer. The pen isn’t wireless so it requires either a USB adapter or a 5V/2A power adapter, both of which can be troublesome and in the way while drawing. Overall, the Scribbler V3 3D Pen is a fantastic 3D Pen. It’s pretty simple in the sense that all you have to do is plug it in, set the temperature depending on the filament type, and press the printing button. One thing I noticed right away is the printing button is the same button for feeding the filament into the pen itself. Unlike conventional 3D pens that offer no or few printing speeds, the V3 has six separate speeds for printing. Unlike other specialty pens in this category, the V3 pen can feed any type of filament you want to: ABS, PLA, rubber, wood, as long as it’s set at the right temperature for that specific filament. It can also use small pieces of filament instead of having to load a fresh strand each time– there is little to no waste. Very comfortable to use, the dimensions are 1.2 x 1.5 x 7.3 inches and weighs about 1.76 ounces– ergonomically designed with prolonged usage in mind. It is perfectly balanced in the hand and built for both left- and right-handed users. There is very little metal in the pen so it doesn’t get warm in the hand. The temperature and printing speed controls are right where they need to be so you can change the settings very quickly without having to fumble around with the pen over and over. The pen can heat up to over 230 degrees Celsius, so you can print on a variety of surfaces without worrying about whether or not the material will stick. You have complete control over your projects. Most 3D pens suffer from recurrent clogs and malfunctions that must be cleared without frequent upkeep, the V3 is no exception. Sometimes, the printing element tends to get stuck when the filament gets jammed in the tube so there may be a need for frequent reassessment. Mind you, no pen is immune to these problems, but the factory offers a 30 day money-back guarantee if you have a defective unit. The instructions are vague on operating instructions. They don’t specify which of the six temperature or extrusion speed settings work best for which type of filament, so it requires some getting used to. Because of recurrent jams, be sure to eject the filament that’s left over after you finish up with your project. 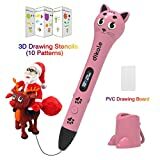 The Dikale 3D pen is definitely a fantastic 3D pen for the little artists in your life; after all, with a cute and cuddly cat design, what little kid’s heart wouldn’t melt with a pen like this? This pen is an Amazon exclusive item that’s not available anywhere else, so that’s something to think about when making your decision. This pen comes as a kit, which includes the cat pen, a foot base stand to keep the pen upright, 40 feet of sample PLA strands, a power cord connecter, 20 beginner stencil patterns, a manual, and a factory assurance for replacement should the pen malfunction in any way, shape, or form. Single button operation makes it extremely simple and direct to draw with. Starting out, 3D pens can be a little tricky if you don’t understand the process. This pen alleviates that issue and keeps it extremely simple. It feeds any standard 1.75mm filament, be it PLA, ABS, PCL, etc. It heats up fairly quickly, and the filament hardens fast, so the lines aren’t extremely choppy as they are with lower quality pens. A large OLED display that tells you the current temperature and extrusion speed, with an integral failsafe system that will shut off automatically after 10 minutes of inactivity, a filament feed mode, and pause feature. Designed for users five and older. Although the pen is designed for children, it gets pretty hot, from 170-210 degrees Celsius, so some adult supervision is highly advised for beginners. The pen is USB powered, so it’ll require at least a 2A power bank or battery pack for semi-wireless usage. May be a little too top heavy for smaller hands to use for prolonged projects. Our next 3D pen is for intermediate and advanced artists and professionals. Essentially a Scribblr V3 clone, it performs exactly as it’s brand name cousin. Drawing gravity-defying projects are both very fun and extremely easy with its multiple speed and heating settings. Maximum control is what comes to mind since there is no guesswork with it’s simple to ease of use. It comes factory tested and signed off on before you use it with a two-year factory replacement warranty, so it’s covered on all fronts. It comes in a variety of color options to choose from instead of a drab grey or white color scheme. Since this is a professional grade pen, it comes with a variety of custom controls to tailor your drawing experience, such as multiple temperature control settings depending on the type of filament used as well as several preset extrusion speeds to control the output. The pen itself is designed to be as comfortable as possible for extended use with its ergonomic contours for both lefts- and right-handed users. Users are free to draw vertical designs. All Penultimate 3D pens meet rigorous factory, and quality control tests and numerous replacement parts are available to increase the pens over all shelf life. Lightweight and insulated to prevent discomfort from the pen heating up from extended usage. Comes with a number of stencils to aid in drawing various shapes and sizes, sample lengths of filament, and a replacement ceramic extrusion tip. Prone to jams if multiple types of filament are used within a short period of time. If you're new to 3D printing and the thought of some of the other 3D pens seem a little much or too little to your liking, the Aerb Intelligent 3D is definitely one of balance and quality for both the newbie and the expert. It’s a great tool for challenging yourself, flexing your creative muscles, and bringing your creations to life. What I like most about this pen is the internal safety features, such as an automatic shut off after five minutes of inactivity, which prevents accidental disasters and tragedy. In regard to extrusion speeds, there is a continuous speed regulation, so all you have to do is push the button and you’re good to go. In terms of temperature, there are several variable temperature controls so that you can draw with numerous filament types stress-free. Compatible with PLA, ABS, and other 1.75mm filaments, unlike other specialty pens, it can also feed 1.76mm eco-friendly filaments if you’re concerned with what you’re drawing. 5th generation design, so all the kinks and inconsistencies have been worked out of the pen’s operation, not to mention a very quick boot time; it only takes about 30 seconds from plugging into reaching extrusion temperatures. OLED display allows for real-time monitoring of the relative temperature and extrusion speed. Built-in safety feature which automatically shuts the pen off after a short period of inactivity. Adjustable feed and extrusion speed allows for vertical drawing. The operation of the pen could be tricky for a beginner. It comes with a user manual in such fine print that it is difficult to read. Due to its versatility, it could be prone to feed malfunctions but is backed by a full replacement guarantee. 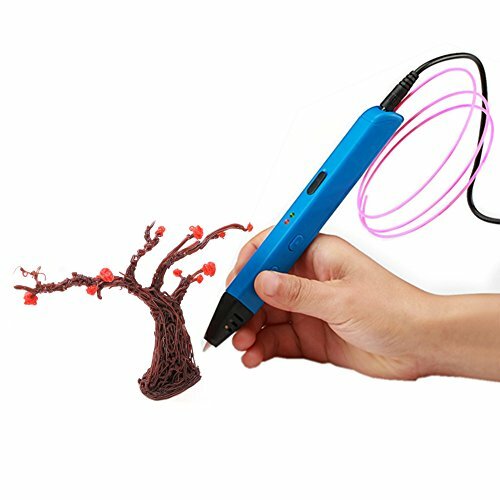 The Scribbler Duo 3D Pen is truly a revolutionary design. Unlike other 3D pens, this is the first of its kind: it has not one extrusion nozzle but two! Think about it, instead of having to flush the filament out of your standard single nozzle pen, the DUO enables users to work with one filament before instantly switching to another filament type. In my opinion, I feel like this design is brilliant because you can automatically fill in gaps and allow the two filaments to fuse together without having to apply a large amount of a single filament to re-melt the lines you’ve already drawn. I honestly feel like the DUO design is one of the better pens on the list, not only because of the pen, but in terms of how clean and streamlined the end result of your drawings will be, both in terms of strength and neatness. Dual nozzle allows for faster, more efficient 3D drawings. The lines are much cleaner because of the ability to seamlessly transition between two filament types in an instant. Ergonomic and sleek. The grip of the pen is contoured, and the housing is designed based off of thousands of user feedback reviews to ensure maximum comfort well drawing for extended lengths of time, and the rubber grip prevents your hand from getting burnt. The pen features six variable extrusions speeds, the first of which is the slowest for cleaning, and precise designs show the sixth is geared for fast vertical designs. Variable temperature ranges from 100-240 degrees Celsius, meaning you’re able to use a wide variety of filament types for your drawings. A perfect gift for the creative people in your life, be that a child, an adult, a beginner, or an expert artist, drawing in three dimensions is definitely easier with this pen. More expensive than the run-of-the-mill 3D pen. If your child is enrolled in STEM classes, 3D pens are excellent for bolstering spatial thinking, creativity, developing hand and eye coordination, and honing attention to detail. 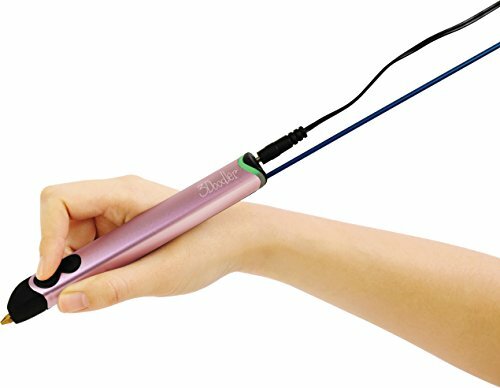 The Uvital 3D pen is the perfect pen for children. Also in the design is an aircraft grade ceramic nozzle that insulates for an added layer of protection. Extremely to use and relatively inexpensive, this pen is ergonomically slim, features a large, easy to read OLED display, several variable temperature control options, and four extrusions speeds, and is ROHS FCC certified, meaning it was designed with no hot parts, making it very safe for children to use. The Uvital 3D pen is designed to feed both PLA and ABS filament types. It features a forward button that is double pressed to continuously feed and pressed once again to stop extrusion, all with the use of a single button. To adjust extrusions speeds there are two buttons on the upper area of the pen housing to adjust according to your drawing. The pen itself is designed with environmentally friendly plastic and other materials for the environmentally conscious. Some buyers might express some reservations when buying a product made entirely out of plastic, but rest assured, it comes with a one-year factory warranty, a 30-day free return, and replacement guarantee in the unlikely event that you are unsatisfied with the product. 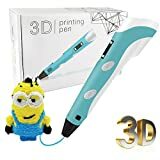 Designed for children, the Uvital 3D pen is utterly safe for children of all ages to be creative and draw anything their heart desires without parents having to worry about the child burning their hands. This pen is extremely environmentally friendly in the sense that it is made out of environmentally friendly plastic and the filaments used are also environmentally friendly and non-toxic and fumeless, so the child won't inhale any harmful fumes while they draw. Extremely useful for developing a child’s creativity, imagination, fine motor skills, spatial thinking abilities, cognition, and attention to detail. Comes with a one-year replacement warranty and a 30-day money back guarantee. Extremely easy for children to use without direct parental supervision. The user guide is pretty confusing, and the directions didn’t really say much on the actual operation of the pen, so it will definitely take some getting used to and playing with before you get really good with it. The Wokashaka Professional Printing 3D pen works by utilizing a technology called Fused Deposition Modeling as it’s primary extrusion method. FDM process is pretty interesting, like other 3D pens, this professional grade 3D pen works by heating filaments to their melting points then immediately cooling it as it’s extruded from the tip. Its ceramic tip insures its safety by extruding with the filament at a very low melting point, making it extremely safe for children to use. 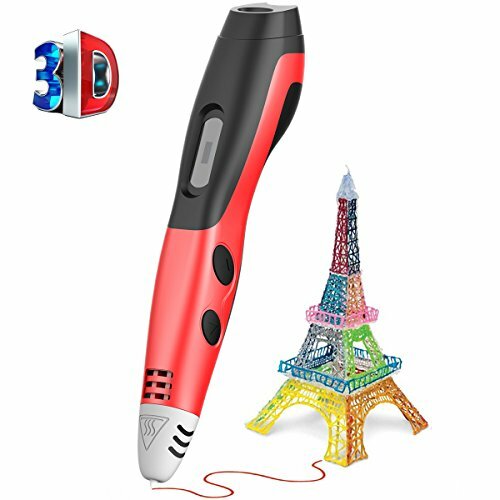 What I thought was really cool about this 3D pen is you feel zero external heat while you use it– it definitely spares some anguish during use. Primary filament type as per factory recommendation is PCL. PCL is different to conventional 3D pen filaments because it is made with eco-friendly, biodegradable resources like corn and starch, giving the user a much better experience instead of working with smelly acrid ABS filaments that give off a foul and irritating odor. That being said, the Wokashaka will feed any type of filament through but PLA, but PCL is highly recommended for the best user experience. What really caught my eye about this pen is the fact that it looks like a standard ink pen. Its housing is a sleek and smooth design, making it much lighter than its predecessors and much easier to draw with, as you would with your run-of-the-mill ballpoint pen. Of course, it has adjustable extrusion speeds for precise or messy drawing, but the weight of the pen is truly where it’s precision lies. One of the original 3D pens that accommodate the use of eco-friendly, biodegradable PCL filament, which melts at much lower temperatures than filaments that are in wider usage in other 3D pens. Heat is pretty well contained in its ceramic-incased extrusion tip, plus there is no ambient heat being transferred from the pen into your hand, making it ideal for long projects. 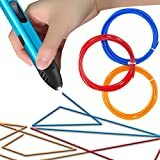 This 3D pen looks and handles like a pen. It’s sleek and elegant design make precision work extremely easy compared to working with a bulky 3D pen that will wear your hand out much faster. Comes backed by a two-month full refund factory replacement warranty should any clogs or malfunctions occur. Due to its low-temperature output, it doesn’t heat high enough for PLA filaments to be used. 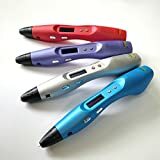 The Jumgor 3D pen is another high-quality pen that operates at safe, extremely low temperatures that prevent the risk of burns through some seriously savvy design features. Before we get into that, let’s talk about the overall design and features the Jumgor has to offer. First and foremost, its external housing is very thin and streamlined, which insures maximum comfort and endurance for the illustrator. Safety is a crucial factor that the engineers took when designing this 3D pen, it doesn’t need to be super-heated to melt and extrude the filament, it operates at extremely low temperatures, although caution should still be practiced no matter what. Since we're on the topic of safety, it also has an integral fail-safe feature that will automatically shut the pen off before going dormant for three minutes, drastically reducing fire hazards or a curious non-suspecting person to burn their hand. Since it’s a low-temperature 3D pen, it won’t extrude filaments that melt at higher temperatures, such as PLA, but it does print PCL, which is much safer considering it’s non-toxic. I really appreciate this pen because of its simplicity, comfort, and utter respect for safety. The Jumgor is designed to be simple, it looks and feels like a regular but oversized ballpoint pen, so it feels pretty natural once you feel it in your hand. Low-temperature melting points allow for safer operation through the process of using filaments that are made from plant and starch materials. Comes with a set of templates to draw various shapes, some sample filament, a power cord and a protective pouch to keep your pen in while it’s not in use. Internal proprietary safety features like the insulated ceramic tip that offers an extra layer of security and the three-minute automatic shut off feature. None, aside from the fact it’s not wireless but you can hook it up to anything that accepts a USB port. 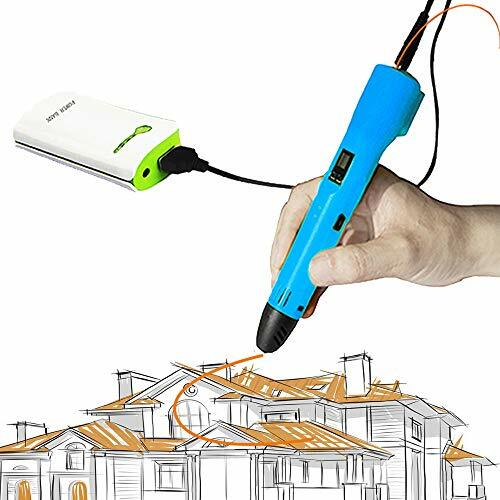 This nifty 3D pen by Vcall is definitely one of value and quality. Now that it’s in its second generation, Vcall has taken user feedback into account and worked out the flaws in its previous model and designed a pen from environmentally friendly. Repurposed plastic into a versatile pen that’s excellent for all ages. It comes with your standard temperature control settings and extrusions speeds, so it can use the garden variety of filaments that we’ve discussed: ABS, PLA, PCL, wood, rubber, copper, etc. Loading the filament is easy enough, you just stick it in the back of the pen near where you plug in the pen’s power source. The internal housing is ceramic-insulated plastic in a pleasant shade of blue that could spark anyone’s imagination and creativity. I personally like this pen because it won’t break the bank, but you’re also guaranteed the quality of a one-year replacement warranty. It’s a nifty little package with which beginners and the most skilled artisans can create amazing works of art. Constructed of high quality recycled plastic, which I feel like that says a lot about a company when they go out of their way to make their products friendly to the environment. The color scheme of the pen is a soft blue and white, just looking at it is both calming and will inspire your creative edge. Loading the filament is easy and out of the way, as the port is at the rear of the pen instead of being located in an off-putting location that will intrude while doing precision work. This pen is a great value for buyers, being very modestly priced for the quality of the pen. It operates at very high temperatures so it may heat up in your hand after prolonged periods of use. I would recommend adult supervision if children will be using this pen. Next on our list is the AIO Robotics Premium 3D pen. Unlike the other 3D pens on our list, this is a PLA-only pen, meaning you’re pretty limited in terms of filament types, but there is a silver lining: PLA is non-toxic and safe to breathe so you can just buy a variety of colored PLA filaments that will meet your needs. Now for the cool part, this 3D pen is made entirely out of metal as opposed to some metal and plastic or fully plastic, so it’s fairly safe to say it’s both extremely durable and dependable based on that fact alone. The ergonomics are incredible, it’s one of the thinnest pins on our list and is certified by ROHS, CE, and FCC to meet the highest quality of design standards on the market today. This pen is ideal for teachers who teach subjects where the 3D pen would be extremely useful based on its certifications and its PLA-only configuration. Opening the box, you will find the 3D pen, two random colors of PLA filament, a manual, power cable, and A/C adapter. You can also adjust the pen in one-degree increments instead of modes so you can adjust accordingly for PLA variety, and this works in direct conjunction with the adjustable extrusion speeds, so you have complete control over the projects. Manufactured to meet the highest manufacturer and quality control standards, it’s extremely safe for use in classroom environments and with its full metal construction; you know it won't get smashed or banged up against the test of time or heavy usage. Adjustable temperature control settings give the user complete control over how they want the various PLA filament types to melt. Certain PLA strands melt at varying temperatures, so this makes it much easier to adjust accordingly. Includes a one-year manufacturer warranty. Features an extremely bright OLED display so you can monitor temperatures and extrusion speeds in real time. It should come as no surprise that we have another outstanding 3D pen from the company that started it all, 3Doodler. 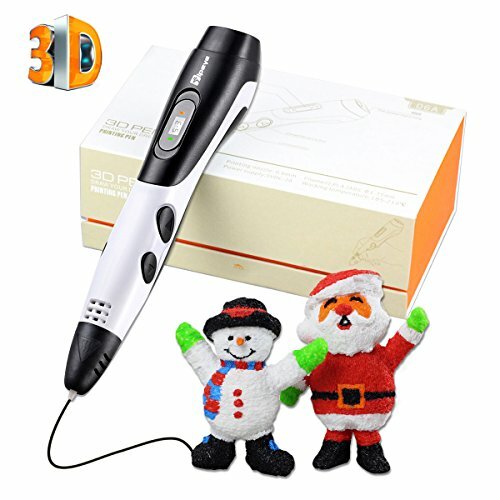 This specific model is the 3Doodler Create, the newest pen on the market from the company. Basing their designs on millions of reviews and countless user feedback. It is said that the company has incorporated over 100 new refinements from the first 3D pen ever created, making the Create one of the higher quality, slimmest, modern, and lightweight pens on the market today. Aside from the brand new housing design and ergonomics, the extrusion buttons are located as close to the front of the pen as possible so you have greater control and more precise drawings. Internally, the drive system has been beefed up quite a bit into a mini powerhouse that still runs much quieter than any of the previous models, all rolled into an extremely lightweight and compact package. Since this is a newer design, 3doodler has released a specialty nozzle set for drawing in all sorts of shapes and sizes, as well as their JetPack system, an ambient light bar that illuminates the project area, and two temperature control settings and two extrusion speed settings. The entire pen is extremely slim and ergonomically sound, weighing in at only 50 grams, the pen is about as thick as a large Sharpie, and its proven to be one of the thinnest professional grade 3D pens on the market today. All of the controls are located at the fore end of the pen, so you can draw with utter precision. The Create’s newly designed drive system is not only more powerful than it’s cousins, but it also operates at a whisper. You can use ABS and PLA filaments up to 3mm in this pen, it features a .7mm extrusion nozzle if you want to customize your experience, even more, you can buy 3Doodler’s accessory nozzle set to change the size and pattern of the extruded plastic. Both the extrusion speed and temperature control settings have a “High/Low” settings, meaning there are two options each. The amount of accessories available for this pen is insane. You have the nonstick, grid-patterned doodle pad for exact measurements, an accessory dock to keep your pen and filaments consolidated into one area, and the aforementioned nozzle set that comes with a hard plastic holder, and the 3Doodler “What Will You Create Project Book” that gives you detailed instructions on how to create damn near anything you can imagine. The Soft Digits 3D pen is definitely a pen for the youngsters out there. Compared to most 3D pens that have operation extrusion temperatures greater than two hundred degrees Celsius. This pen operates at temperatures lower than 85-95 degrees Celsius, and there’s no need to worry about burnt fingers or melted furniture as this pen was designed to be safer for your children. Now keeping the lower temperatures in mind like the other low-temperature pens on our list, it’s not able to cycle PLA or ABS filaments because of the plastic’s higher melting point, this pen only works with PCL filaments. 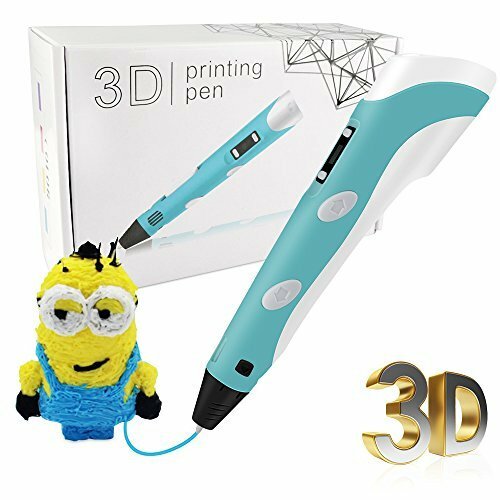 Since this is a child's 3D pen, it has all the bells and whistles that a 3D pen should have in terms of safer operation. Such as an auto shut off feature, USB compatibility, and a filament unloading feature to extract all the unused filament from the pen to prevent clogs and keep the pen operating nominally for years to come. The kit comes with some goodies to get you started too: the pen itself, a handy pen holder, a five-meter loop of PCL filament that comes in a random color, your instruction booklet, and an AC100-240v input SC12V/2A output USB power adapter. I think that this could be called best 3d pen on the market. Lower operating temperatures ensure safe operation for children as well as beginners who don’t want to shell out the big bucks for a professional grade pen while they’re just starting out. There are three separate 3D printing temperature modes for PCL filaments, 80-85 degrees Celsius, 85-90 degrees C and 90-95 degrees C, and adjustable extrusion speeds. Safety features such as the unload feature which will purge all the PCL from the pen within fifteen seconds and the auto shut off feature for when the pen is left on but not in use. Although PCL filament is one of the best types on the market, it limits usability since you can't use more available ABS and PLA filaments. This pen is safe for children five years or older to use unsupervised, but still make sure to stress the importance not to touch the extrusion tip. 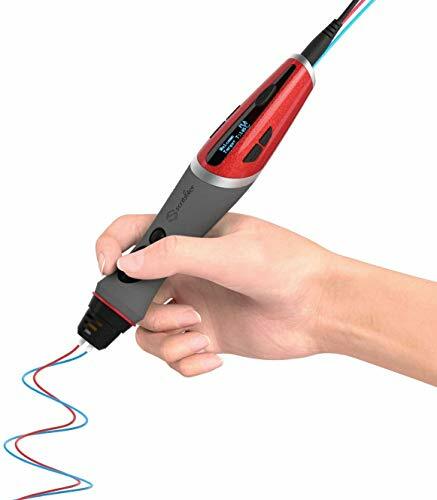 The KT-Prase 3D pen is one of my favorites because of its utter simplicity, and by simplicity, I mean all you have to do to get this pen to print is just push one single button– push it once and it prints, pushes it again and it stops. I don’t know about you guys, but I sure do love things that are simple and easy to use especially when I’m trying to draw something. There were some drawbacks to it though, it does make some noise while you’re using it, which can be kind of distracting depending on how much you need to focus, but it’s not loud enough to become impending, just sort of a low hum to it. It does get pretty hot though when you’re using it for a while so just be sure to keep an eye on the pen’s LED display where it tells you the pen’s current operating temperature. In my opinion, I feel like this pen is better suited for intermediate users who want a higher quality pen than the beginner’s pen but don’t want to spend the money for a professional grade pen that can be over a hundred dollars–the KT-Prase is perfect for buyers who are smack dab in the middle. Simple and extremely user-friendly, just push the button and go. Keep in mind this pen takes a few minutes to heat up but it’s nothing to worry about. I have a friend who has this exact pen, and he panicked because it didn’t extrude right away, but there’s an indicator that shows when it’s ready to print. In terms of a filament, this pen will fit in pretty much any type you want to, it can heat up to temperatures of 60 Celsius to over 200 degrees Celsius, so it can accommodate any type of filament melting temperatures. The kit comes with the pen, operation instruction booklet, a USB power adapter, a standard power cord, and five meters of 1.75mm PLA filament, it isn’t hard to get you started. The ceramic nozzle is much more ideal for extended operation compared to ceramic nozzles that can get very hot when used for prolonged periods of time. Moderately priced for a pen of this quality. Although the pen can insulate heat fairly well, it does get pretty hot when you use it for awhile so you may need to slow down sometimes and wait for it to cool down so you don’t burn your hand. It does require an external power source. The Tuboss Standard 3D pen is a pen for the child in your life, the inner artist, or the hobbyist who wants to give 3D printing a try but isn’t sure of the right way. Like the name says the pen’s standard, it has an extrusion button, and LED display screen that shows temperature and extrusions speed. Its very simple to load the filament into the pen, and it doesn’t take long for it to heat up and get started with your drawing. Overall, it’s pretty comfortable ergonomically, but it’s fairly thick, so your hand might get worn out pretty quickly, but I never had any problems. The external housing is just ABS plastic, so it feels pretty delicate in your hand, but I don’t see anyone smashing the pen on purpose. In terms of the kit, it comes with your standard 3D printing pen, power adapter, in three strands of three-meter filaments that come in random colors. With it being a standard pen, it does exactly what it’s supposed to do and prints without clogging, it has all the controls you need to use different filament types, and it’s just an overall great pen for those who I’m looking for a cost-effective but a quality pen. The pen holds true to its name, it’s just your standard quality 3D pen that will do what it’s supposed to but it’s nothing fancy. It feeds the filaments with ease without clogs or any other type of malfunction. The controls are pretty simple once you get the hang of them, I just didn’t feel like they were in the right spot to be as ergonomic as possible. It safely feeds various types of filaments due to the fact that you can adjust the operating temperature from 60 degrees Celsius to over 200 degrees Celsius. Overall, the pen boots up pretty quickly, so you can load your filament and start drawing without having to wait for it to heat up for too long. My opinion is that I felt like the pen was a little uncomfortable in the hand, but I have smaller hands so it could just be user preference. The pen’s ABS plastic construction felt kind of flimsy to me. It got hot pretty quickly after about fifteen minutes or so after I extended usage. The Soyan Professional 3D Pen is a simple yet high-quality professional-grade 3D printing pen. I absolutely love this pen because of how light and contoured it felt in my hand. I’ve broken several fingers in the past, so clunky designs tend to make my hands cramp up a little more The top of the pen is flat where the display and extrusion adjustment button lies but the actual extrusions button itself is located on the side which I thought was great and extremely comfortable to use. In terms of extrusion adjustment speeds, you can make this pen go very fast or very slow, the lines were very crisp without any chunks or dabbles in my lines even when I pause for a minute to switch the filaments out, and the two different types of filaments fuse together very nicely because of this pen adjustable extrusion temperatures. Like most intermediate two professional grade pens, you can adjust the temperature according to late depending on the type of filament you need for your project. It didn’t feel too hot in my hand after using it for a while, which if you guys haven’t gathered by now is something about which I’m extremely picky. And to put the icing on the cake, it comes with some 3D drawing template, a good bit of filament, and it’s conveniently powered by a USB cord, so you can plug it in anything you want. This model is one of the best 3d pen on the market. I personally think this is one of the more comfortable 3D pens I’ve ever held in my hand, one that’s contoured just right to sit in your hand while you can still look at the top of it and read the LED display with no issues. The extrusion button is right on the side so all you have to do is press the button once you set your pen to your desired extrusion speed in temperature control. It’s not very heavy, so you feel less fatigue while using it for a good while, without it getting extremely hot in your hand. Another cool feature of this pen is the modular nozzle design, you can swap the nozzles out for a separate nozzle depending on the task at hand. The kit comes fully loaded with 3D drawing templates, some sample filament, a USB power cord, and your pen. Everything you need to get started and have a great time making 3D creations and designs. There is one flaw about this pen that kind of drives me nuts–it didn’t come with an instruction manual! You kind of have to learn how to do it yourself, but with some practice, you should have no problem. 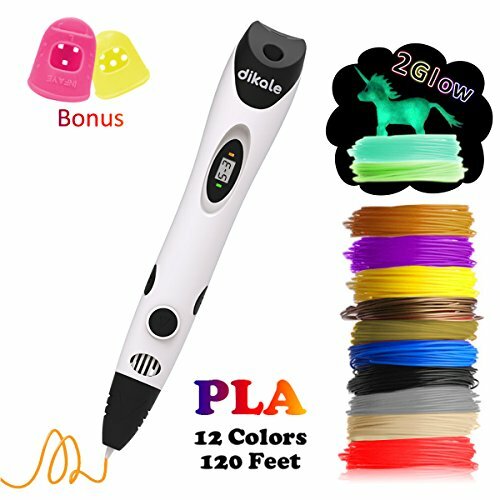 The THZY 3D Doodling Pen is extremely unique in that it operates at temperatures of 55 degrees, but it’s able to melt both PCL and PLA filaments. Which is very different because most pens that operate at these temperatures require higher temperatures to melt the PLA filament, but somehow this pen pulls that off. The technology inside the pen is what’s called temperature sensing technology that will raise and lower the temperature based on the frequency that you use the pen. Of course, you can adjust it to meet the need of the project on which you are working but frankly, I was tickled to death to see there was a 3D pen out there that can print both PLA and PCL filaments. So no matter what type you’re using, they’re both guaranteed to be non-toxic, non-smelly, and completely safe for children to use. To keep adding to the list of benefits for the THZY 3D pen, it comes standard with a ceramic nozzle to give the user an extra layer of protection by using the pen. It’s great for both adults and children,f but more so children in the sense that also has an automatic shut off feature so if anyone were to leave it sitting on the table or something, it will shut off after a few minutes, thus rendering it safe without having to shut it off yourself. The feature I love most about this 3D pen is the fact that it can feed it both PLA and PCL filaments, both of which are safe for anyone to use if they are becoming acrid or harmful to breathe them in. Ergonomically speaking, I thought the pen was very comfortable to use for extended periods of time without my hands feeling like they were on fire or cramped up really bad. Instead of a LED or OLED display, this pen has a simple red light green light indicator and two buttons on the pen for each filament type you wish to use and the light will indicate which type of filament you’re using. It also has an operating key on it that’s used for both loadings and unloading the pen, extruding and pausing. Very user-friendly indeed. The power input and filament loading whole are located on the base of the pen which is far away from where your hand will be well you’re using it. Extremely moderately priced considering the pen’s capabilities and simplicity. The Canbor 3D pen is one of the more specialized, multi-purpose pens in our buyer's guide. Set up only takes about thirty seconds to get you started, it incorporates your standard extrusion speed and temperature control buttons depending on the type of filament you want to use in this pen. Another quality I just loved about this pen is how quiet it operates–you barely even hear it hum during operation, so you have complete unmitigated focus the entire time you work on your project. Because of the pen’s numerous variable speeds, you’re able to draw both horizontally and vertically almost effortlessly. Another unique feature about this pen is its patented nozzle and heat dissipation design that disperses the heat throughout the pen, which then cools down very quickly. Ergonomically speaking, it’s very comfortable to use with it narrowing in the tip of the pen so you can use it without becoming too fatigued. The LED display is pretty small which is one of the only qualms I have with this pen, but then again, nothing can be perfect. The pen comes packaged with some free sample PLA filament, a twelve-month warranty, and a 30-day unconditional refund policy in the event that the pen malfunctions in any way, shape, or form. In terms of safety, it’s “advanced intelligent chip” has a stand-by function for about five minutes, and if you don’t use it shuts off automatically. It has operating temperatures of 160-235 degrees Celsius, depending on the filament types you’ll be using for your project. Multipurpose, versatile, and extremely user-friendly, the span is very easy to use even if you’ve never used to 3D pen in your life. You can use both ABS and PLA filaments in this pen because of its variable temperature options. The advanced intelligence chip allows for smooth modeling, greater filament stability while drawing, and the internal safety feature that put the pen on standby after it hasn’t been used. Moderately priced and a 30-day full refund guarantee on top of the one-year factory replacement warranty keeps users covered from all angles, just in case the pen were to malfunction. The only real negative aspect of this pen, in my opinion, is how small the display is–I found it very difficult to read. This is extremely difficult because I would love to own every single one of these 3D pens in this guide, but I can’t, because owning twenty 3D pens would be somewhere along the lines of completely crazy and utterly insane. As much as it pains me to do this, I must choose one, but first, I’ll select my preferences in each price category, think award ceremony style! 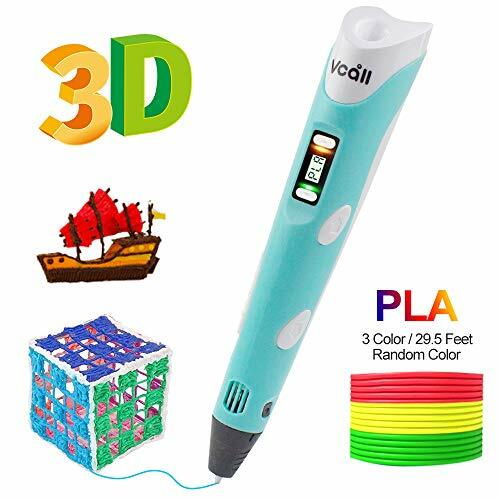 For the twenty dollars and up category, I would definitely have to go with the Soft Digits 3D Pen because of how multi-purpose its design is and how it’s damn near the safest 3D Pen for children to use. 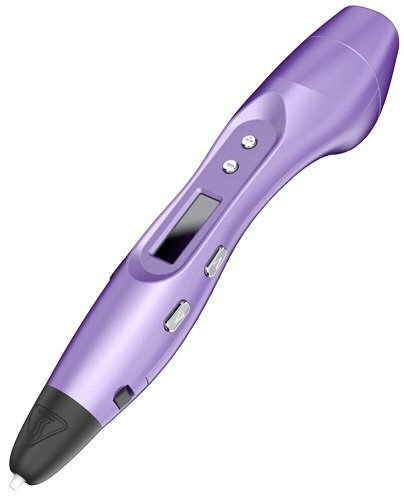 In the thirty dollars and up category, I’m going to have to choose the KT-Prase 3D pen for its simplicity and how well it insulates heat during prolonged periods of use. 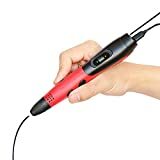 In the forty dollars and up category, I humbly choose the Soyan Professional 3D pen just for its ergonomics alone, but there’s so much more to it, it draws like a dream. 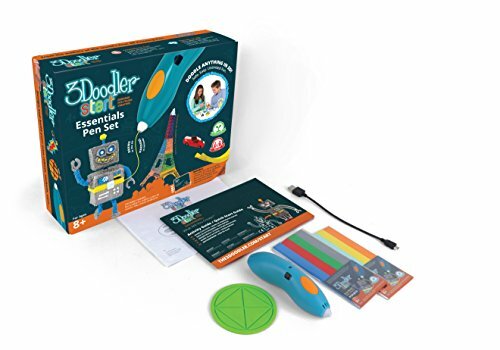 In the fifty dollars and up category, the 3Doodler Start by Wobble Works, not because they were the first, but because of the amount of stuff that’s included in the kit and how simple the pen is used as a whole. What can I say? I’m a sucker for simplicity and a lot of free stuff! In the sixty dollars and up category, I’m going to choose the AIO Robotics Premium 3D Pen, for both its full metal external housing and the fact it feeds the environmentally friendly PCL filament only. 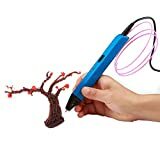 The seventy-dollar category is a no-brainer with the Scribbler DUO 3D pen, I love the fact you can swap filaments seamlessly without skipping a beat. Plus, it’s no secret the Scribbler makes some of the finest 3D pens on the market today. The eighty-dollar category is where I probably sound a little biased but the 3Doodler Create definitely takes the award for both best in the eighty dollar category and the award for editors’ choice! 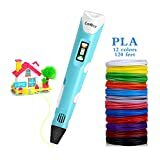 The 3Doodler create is my favorite 3D pen on this list, it’s the pen that I if I could choose to write 10,000 words on and would recommend for you to buy, Create takes the win. 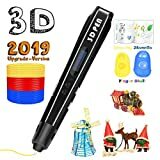 Not because it’s by 3Doodler, I mean they are the OG’s of the 3D Pen, but I chose it because it’s the newest, the latest, and the greatest in my humble opinion. 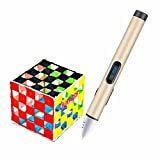 I love this pen’s sleek and ergonomic design, it’s straight aluminum housing, the simple two button-two mode system, how precise the artwork can be with how close the extrusion button is to the tip of the pen. Man, I could go on for hours about how awesome I think this pen is but you’re probably tired of hearing me ramble on about it! As you can see there is a best 3d pen for every price range. I really hope you’ve enjoyed reading our best 3D pen buyers guide and you learned an awful lot about the history of 3D printing, the origin of the 3D pen, Maybe a little bit on how they work in the science and technology behind the scenes. Lastly, I hope that my reviews have helped illuminate you in your search on your quest for finding the perfect 3D pen. If not, don’t fret because technology advances a mile per minute and there’s always a new product waiting to be unveiled to the masses. Think about it for a second, some of these pens are very advanced, and these companies are growing along with the popularity of 3D printing itself, I mean who doesn’t want to make their own templates and designs, or draw works of art in three-dimensional space? For the first time in history, we can draw things that were limited to two-dimensional space but now artists can draw in the same dimension that we exist in. I don’t know about you but just thinking about that makes my head spin. Anyways that’s enough about physics in 3D pens, I look forward to talking about science and technology with you guys next time but for now, flex those creative muscles and go forth and be wonderful!